Facts - email Mars Lander lands successfully to a friend! Here's some great news from NASA: the Phoenix Mars Lander made a perfect touchdown on the northern arctic plains of Mars, performing better than it even did in simulations. 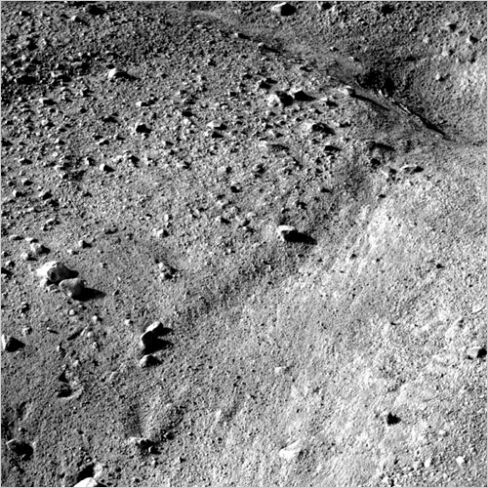 It's already sent back the first shots of the frigid landscape and is set to start searching for water and any signs of primitive life. It took almost 10 months to make the 422-million-mile trip, and during the part where the most stood to go wrong — the landing — it performed perfectly. And now, after a few days of checking the conditions of the lander, it'll start performing experiments on the surface. It has an arm with a drill that'll allow it to dig down to the icy layer beneath the surface and check the water there, which will deliver huge amounts of data never before analyzed by humans. Nice work, NASA.